Moral judgment has over the years attracted the attention of both philosophers and psychologists [1Hume D. An Inquiry Concerning the Principles of Morals with a Supplement, a Dialogue. New York: Liberal Arts Press 1957., 2Kohlberg L. Stages en the Development of Moral Thought and Action Kohlberg et al. Moral Stages: A Current Formulation and a Response to Critics. New York: Rinehart & Winston 1969.]. Moral judgment can be defined as the process whereby we judge one’s personality or behavior as bad or good, on the basis of a set of culturally-defined values [3Haidt J. The emotional dog and its rational tail: a social intuitionist approach to moral judgment. Psychol Rev 2001; 108(4): 814-34. [http://dx.doi.org/10.1037/0033-295X.108.4.814] [PMID: 11699120] ]. Until recently, the majority of scholars believed that moral judgment is reached through a conscious mental activity, described as moral reasoning, which is slow, effortful, conscious, intentional and controllable [4Turiel E. The Development of Social Knowledge: Morality and Convention. Cambridge: Cambridge University Press 1983.]. An alternative view has been proposed by Haidt [3Haidt J. The emotional dog and its rational tail: a social intuitionist approach to moral judgment. Psychol Rev 2001; 108(4): 814-34. 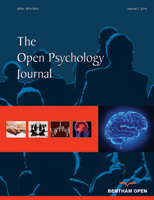 [http://dx.doi.org/10.1037/0033-295X.108.4.814] [PMID: 11699120] ], who proposed that moral judgment is based, not on reason, but intuition, and is motivated by automatic emotional responses. Contrary to moral reasoning, moral intuition is fast, effortless, unintentional and automatic. According to the social intuitionist approach, reasoning plays a minor role and usually takes place only after moral judgments have been reached in order to justify them, creating the illusion of a rational decision. We may rely on reasoning only in the absence of intuitive feelings or in the case of conflicting feelings [3Haidt J. The emotional dog and its rational tail: a social intuitionist approach to moral judgment. Psychol Rev 2001; 108(4): 814-34. Several psychologists have since attempted to examine how different emotions, feelings and sensations like anger, sadness, fear, cleanliness and disgust may influence moral judgments [5Horberg EJ, Oveis C, Keltner D, Cohen AB. Disgust and the moralization of purity. J Pers Soc Psychol 2009; 97(6): 963-76. [http://dx.doi.org/10.1037/a0017423] [PMID: 19968413] -8Schnall S, Haidt J, Clore GL, Jordan AH. Disgust as embodied moral judgment. Pers Soc Psychol Bull 2008; 34(8): 1096-109. [http://dx.doi.org/10.1177/0146167208317771] [PMID: 18505801] ]. A meta-analytic review reported a moderate effect of disgust induction on moral judgment [9Landy JF, Goodwin GP. Does incidental disgust amplify moral judgment? A meta-analytic review of experimental evidence. Perspect Psychol Sci 2015; 10(4): 518-36. [http://dx.doi.org/10.1177/1745691615583128] [PMID: 26177951] ]. The effect size depended on the sensory modality, with gustatory and olfactory disgust inductions being stronger than visual. There is an emerging consensus that disgust is the emotion that exhibits a rather consistent effect on moral judgment [5Horberg EJ, Oveis C, Keltner D, Cohen AB. Disgust and the moralization of purity. J Pers Soc Psychol 2009; 97(6): 963-76. [http://dx.doi.org/10.1037/a0017423] [PMID: 19968413] ], even though there is evidence that anger is the main emotional response. Accordingly, in a series of studies, Royzman, Atanasov, Landy and Gepty [10Royzman E, Atanasov P, Landy JF, Parks A, Gepty A. CAD or MAD? Anger (not disgust) as the predominant response to pathogen-free violations of the divinity code. Emotion 2014; 14(5): 892-907. [http://dx.doi.org/10.1037/a0036829] [PMID: 24866519] ] found that anger, and not disgust, is the primary moral emotion affecting judgments to moral transgressions. Disgust has been recognized as one of the six basic universal emotions in humans [11Ekman P, Friesen WV. Unmasking the Face: A Guide to Recognizing Emotions from Facial Clues. Ishk: Malor Books 2003.] that is complex and can be triggered by various elicitors [12Rozin P, Haidt J, McCauley CR. Disgust. In: Lewis M, Haviland J, Eds. Handbook of Emotions. New York: Guilford 1993; pp. 575-94.]. It is now generally agreed that disgust was originally a food-related emotion, its function being to protect us from contact with toxins, which later evolved into a pathogenic phenotype avoiding system [13Tybur JM, Lieberman D, Kurzban R, DeScioli P. Disgust: evolved function and structure. Psychol Rev 2013; 120(1): 65-84. [http://dx.doi.org/10.1037/a0030778] [PMID: 23205888] ]. In addition, disgust has been observed as a response to moral transgressions, unrelated to health-threats, playing a new functional role, known as preadaptation [14Rozin P, Haidt J, McCauley CR, Imada S. Disgust Preadaptation and the Cultural Evolution of a Food-Based Emotion in Food Preferences and Taste: Continuity and Change. Providence, RI: Berghahn 1997.]. It has been argued that disgust has evolved to function as a protective mechanism in areas of morality (moral/interpersonal disgust) and mate choice (sexual disgust), protecting not only the body but also the soul and social order [12Rozin P, Haidt J, McCauley CR. Disgust. In: Lewis M, Haviland J, Eds. Handbook of Emotions. New York: Guilford 1993; pp. 575-94., 13Tybur JM, Lieberman D, Kurzban R, DeScioli P. Disgust: evolved function and structure. Psychol Rev 2013; 120(1): 65-84. [http://dx.doi.org/10.1037/a0030778] [PMID: 23205888] ]. Curtis and Biran [15Curtis V, Biran A. Dirt, disgust, and disease. Is hygiene in our genes? Perspect Biol Med 2001; 44(1): 17-31. [http://dx.doi.org/10.1353/pbm.2001.0001] [PMID: 11253302] ] suggest that in the same way that disgust triggered by physical parasites leads us to distance-ourselves from such substances to protect the human body, disgust caused by perpetrators of immoral acts leads us to ostracize them to protect society. In the context of examining the ways feelings of physical disgust might bias moral judgment, research demonstrates substantial convergence on the idea that disgust-primed participants are harsher in their moral judgments [5Horberg EJ, Oveis C, Keltner D, Cohen AB. Disgust and the moralization of purity. J Pers Soc Psychol 2009; 97(6): 963-76. [http://dx.doi.org/10.1177/0146167208317771] [PMID: 18505801] ]. Across four studies, Schnall et al. [8Schnall S, Haidt J, Clore GL, Jordan AH. Disgust as embodied moral judgment. Pers Soc Psychol Bull 2008; 34(8): 1096-109. [http://dx.doi.org/10.1177/0146167208317771] [PMID: 18505801] ] showed that disgust primed participants, rated moral vignettes, both pure and disgust-related, as more immoral, compared to those in the control groups. However, David & Olatunji [7David B, Olatunji BO. The effect of disgust conditioning and disgust sensitivity on appraisals of moral transgressions. Pers Individ Dif 2011; 50(7): 1142-6. [http://dx.doi.org/10.1016/j.paid.2011.02.004] ] found that disgust had no effect on moral judgments. In their experiment a neutral word was repeatedly paired with disgusting images. While vignettes containing this word were rated as more disgusting, they were not rated as more immoral, compared to those that did not contain the conditioned word. Given the interest in the role of disgust on moral judgment, research has also examined whether disgust sensitivity (DS), defined as the propensity to experience disgust [16Haidt J, McCauley C, Rozin P. Individual differences in sensitivity to disgust: a scale sampling seven domains of disgust elicitors. Pers Individ Dif 1994; 16(5): 701-13. [http://dx.doi.org/10.1016/0191-8869(94)90212-7] ], also affects moral decisions. Research has shown that individuals with high levels of DS adopt harsher attitudes on a variety of moral issues. Chapman and Anderson [17Chapman HA, Anderson AK. Trait physical disgust is related to moral judgments outside of the purity domain. Emotion 2014; 14(2): 341-8. [http://dx.doi.org/10.1037/a0035120] [PMID: 24512243] ] found that high DS individuals gave harsher judgments to pure moral transgressions and tended to moralize violations of social conventions. Similarly, Inbar, Pizarro and Bloom [18Inbar Y, Pizarro DA, Bloom P. Conservatives are more easily disgusted than liberals. Cogn Emotion 2009; 23(4): 714-25. [http://dx.doi.org/10.1080/02699930802110007] ] found a relationship between DS and conservative attitudes on sexual purity related issues, such as abortion and homosexual marriage. Several scholars have also focused on the relationship between DS and attitudes towards outgroups. Hodson and Costello [19Hodson G, Costello K. Interpersonal disgust, ideological orientations, and dehumanization as predictors of intergroup attitudes. Psychol Sci 2007; 18(8): 691-8. [http://dx.doi.org/10.1111/j.1467-9280.2007.01962.x] [PMID: 17680940] ] established that high DS individuals showed decreased liking of immigrants, foreign ethnic and low-status groups. It has been proposed that disgust, and particularly interpersonal disgust, can function as an ethnic or outgroup marker, strengthening the prominence of ingroup boundaries and helping maintain social hierarchies [14Rozin P, Haidt J, McCauley CR, Imada S. Disgust Preadaptation and the Cultural Evolution of a Food-Based Emotion in Food Preferences and Taste: Continuity and Change. Providence, RI: Berghahn 1997.]. A specific outgroup which has attracted the attention of researchers is the homosexual community [20Crawford JT, Inbar Y, Maloney V. Disgust sensitivity selectively predicts attitudes toward groups that threaten (or uphold) traditional sexual morality. Pers Individ Dif 2014; 70: 218-23. [http://dx.doi.org/10.1016/j.paid.2014.07.001] -24Terrizzi JA, Shook NJ, Ventis WL. Disgust: a predictor of social conservatism and prejudicial attitudes toward homosexuals. Pers Individ Dif 2010; 49(6): 587-92. [http://dx.doi.org/10.1016/j.paid.2010.05.024] ]. In some societies, outgroups including homosexuals, and in particular gay men, have been criticized through the use of the rhetoric of disgust [25Nussbaum MC. Upheavals of Thought: The Intelligence of Emotions. Cambridge: Cambridge University Press 2003.]. Herek [26Herek GM. Documenting prejudice against lesbians and gay men on campus: the Yale Sexual Orientation Survey. J Homosex 1993; 25(4): 15-30. [http://dx.doi.org/10.1300/J082v25n04_02] [PMID: 8106738] ] found that negative feelings towards homosexuals are in many cases accompanied by disgust sensations. Measuring attitudes towards homosexuality presents a methodological challenge given that respondents are often constrained by social desirability considerations. In an effort to determine whether there is a change in attitudes towards homosexuality over time in response to increasing social pressure to be politically correct, Breen and Karpinski [27Breen AB, Karpinski A. Implicit and explicit attitudes toward gay males and lesbians among heterosexual males and females. J Soc Psychol 2013; 153(3): 351-74. [http://dx.doi.org/10.1080/00224545.2012.739581] [PMID: 23724704] ] conducted a study comparing respondents’ explicit and implicit attitudes towards homosexuality. Implicit attitudes are based on associative processes, which are automatic affective responses to a given stimulus. By contrast, explicit attitudes are based on propositional processes, where associative thoughts are censored and monitored on the basis of their truth-values. Indeed, explicit attitudes were found to be much more positive than implicit, especially for homosexual men [28Gawronski B, Bodenhausen GV. Associative and propositional processes in evaluation: an integrative review of implicit and explicit attitude change. Psychol Bull 2006; 132(5): 692-731. Several studies have examined the relationship between explicit or implicit attitudes towards homosexuality and disgust, either by inducing it or by measuring DS [20Crawford JT, Inbar Y, Maloney V. Disgust sensitivity selectively predicts attitudes toward groups that threaten (or uphold) traditional sexual morality. Pers Individ Dif 2014; 70: 218-23. [http://dx.doi.org/10.1016/j.paid.2014.07.001] -23Inbar Y, Pizarro DA, Knobe J, Bloom P. Disgust sensitivity predicts intuitive disapproval of gays. Emotion 2009; 9(3): 435-9. [http://dx.doi.org/10.1037/a0015960] [PMID: 19485621] ]. Using odor to induce disgust, Cunningham et al. [21Cunningham E, Forestell CA, Dickter CL. Induced disgust affects implicit and explicit responses toward gay men and lesbians. Eur J Soc Psychol 2013; 43(5): 362-9. [http://dx.doi.org/10.1002/ejsp.1945] ] found that participants in the disgust condition reported less warmth towards homosexuals both explicitly and implicitly, while Inbar et al. [22Inbar Y, Pizarro DA, Bloom P. Disgusting smells cause decreased liking of gay men. Emotion 2012; 12(1): 23-7. [http://dx.doi.org/10.1037/a0023984] [PMID: 21707161] ] found such an effect only with regard to explicit judgments. Both studies found that this effect was limited to gay men, and did not extend to lesbians, African Americans or the elderly. The importance of examining separately explicit and implicit judgments was revealed further by Inbar, Pizarro, Knobe, and Bloom [23Inbar Y, Pizarro DA, Knobe J, Bloom P. Disgust sensitivity predicts intuitive disapproval of gays. Emotion 2009; 9(3): 435-9. [http://dx.doi.org/10.1037/a0015960] [PMID: 19485621] ], who made use of two different methodologies. Using the Implicit Association Test in their first experiment, they found that people higher in DS held more negative intuitive attitudes towards homosexuals. Then, in a second experiment they introduced the concept of intentionality originally proposed by Knobe [29Knobe J. Intentional action in folk psychology: an experimental investigation. Philos Psychol 2003; 16(2): 309-24. [http://dx.doi.org/10.1080/09515080307771] , 30Knobe J. Intentional action and side effects in ordinary language. Analysis 2003; 63(279): 190-4. [http://dx.doi.org/10.1093/analys/63.3.190] ], who has argued that when examining the intentionality of an action, judgment is often based on the belief about the goodness of the action and an immoral action is more likely to be considered intentional. Thus, Inbar et al. created two vignettes about a director making a music video, which encouraged either a gay men or a straight couple to French kiss in public. Participants read one of the two scenarios and were asked to answer three questions, one measuring implicit and the other two explicit judgments. Even though there were no differences in explicit disapproval of French kissing in public, participants with higher DS were more likely to judge the director’s action as intentional when they read the gay men couple-kissing scenario. The aim of the present study was to expand our knowledge on the topic of disgust and homosexuality judgments by extending the work of Inbar, Pizarro, Knobe, and Bloom [23Inbar Y, Pizarro DA, Knobe J, Bloom P. Disgust sensitivity predicts intuitive disapproval of gays. Emotion 2009; 9(3): 435-9. [http://dx.doi.org/10.1037/a0015960] [PMID: 19485621] ] while adding the variable of induced disgust in this context, along with DS. We believe that there is a need for further experimentation in this direction, as the concept of intentionality seems to be a promising approach to researching attitudes toward homosexuality, an area hampered by considerations of social desirability and political correctness. It was expected that only implicit, and not explicit, judgments would be affected by the disgust condition and type of scenario. Specifically, it was predicted that the disgust condition (disgust vs. neutral) and the type of scenario (gay men couple kissing vs. straight couple kissing) would lead to harsher implicit judgments, as measured by the intentionality judgments. It was also expected that DS would be a predictor of implicit disapproval of the French-kissing behavior, judging it as more intentional. The sample consisted of 64 white Caucasian undergraduate students (32 females, 32 males; Mage = 21.61, age range = 17-32 years) from The American College of Greece in Athens. Half of the participants were presented with a slideshow depicting neutral photos and the other half with disgust-inducing photos. Each slideshow lasted one minute and consisted of 10 photos with a presentation rate of six seconds. Both disgusting and neutral photos were selected from the International Affective Picture System (IAPS) [31Lang PJ, Bradley MM, Cuthbert BN. International affective picture system (IAPS): Technical manual and affective ratings. CSEA 1997; pp. 39-58.]. The disgusting images covered several categories of physical disgust, including food, animals, body products, body envelope violations, death and hygiene [16Haidt J, McCauley C, Rozin P. Individual differences in sensitivity to disgust: a scale sampling seven domains of disgust elicitors. Pers Individ Dif 1994; 16(5): 701-13. [http://dx.doi.org/10.1016/0191-8869(94)90212-7] ]. However, no photographs related to sexual disgust were included so as not to bias the participants’ judgements. The neutral photos selected from the IAPS depicted objects (e.g., cup, chess board) or landscapes and had valence and arousal ratings that were close to average. A pilot study was conducted to select these images. Originally, a pool of 20 disgusting and 20 neutral photos were selected. Twenty participants were asked to rate all 40 images on a 7-point Likert-Scale (1 = Not at all disgusting and 7 = Extremely disgusting). Based on these scores, we selected 10 photos with the highest disgust ratings (M = 5.93, SD = 1.33) for the disgusting slideshow and 10 photos with a mean of 1 (SD = 0) for the neutral slideshow. Following the disgust induction, participants were presented with a scenario and three corresponding questions [23Inbar Y, Pizarro DA, Knobe J, Bloom P. Disgust sensitivity predicts intuitive disapproval of gays. Emotion 2009; 9(3): 435-9. [http://dx.doi.org/10.1037/a0015960] [PMID: 19485621] ]. The scenarios described a director who created a music video that encouraged either a man and a woman (in the straight couple-kissing condition) or two men (in the gay couple-kissing condition) to French kiss in public. Participants had to answer the three questions concerning the scenario they read. The implicit question asked participants to rate the extent to which the director intentionally encouraged the gay couple/straight couple to French kiss in public, on a 7-point Likert-Scale (1 = Not at all and 7 = Definitely). The other two questions measured explicit judgment. One was a yes/no question asking whether it was wrong for gay couple/straight couple to French kiss in public. The other question asked participants to rate the extent to which it was wrong of the director to make this video when he knew that it would encourage a gay couple/straight couple to French kiss in public on a 7-point Likert-Scale. As a manipulation check, participants were also asked to rate the extent to which the disgust induction materials elicited the emotions of disgust and anger on 7- point Likert- scales. Finally, DS was measured using the Disgust Scale-Revised (DS-R), modified by Olatunji et al. [32Olatunji BO, Williams NL, Tolin DF, et al. The Disgust Scale: item analysis, factor structure, and suggestions for refinement. Psychol Assess 2007; 19(3): 281-97. [http://dx.doi.org/10.1037/1040-3590.19.3.281] [PMID: 17845120] ]. DS-R consists of 25 items rated on a 5-point Likert-Scale (0 = Not disgusting at all and 4 = Extremely disgusting). The subscales were the following three: core disgust, animal-reminder, and contamination disgust. The scale does not include items concerning sexual disgust, making the DS-R a more suitable choice for the present study. In the current study the DS-R was found to have a Cronbach Alpha coefficient of .88. The study was reviewed and approved by the Institutional Review Board of the American College of Greece. In order to check whether disgust induction was successful, two independent-samples t-tests were conducted, examining whether levels of reported disgust and anger differed across the participants in the disgust and control condition. The analysis revealed that participants in the disgust condition (M = 5.50, SD = 1.16) had significantly higher levels of reported disgust than those in the control condition (M = 1.38, SD = .87), t(62) = 16.05, p = .00, r = .89. Anger levels were not significantly different in the disgust and control conditions, t(62) = 1.38, p = .21, r = 0.17. In the first explicit question asking participants to judge the wrongness (yes/no) of French kissing in public for a gay /straight couple, a Chi-squared analysis was conducted. Twenty-three (72%) of the participants in the induced disgust condition found nothing wrong with gay /straight couple French kissing in public, compared to 25 (78%) of those in the neutral condition. The groups did not differ significantly, χ2. (1, N = 64) = .33, p = .56, Φ = .07. Similarly, 26 (81%) of all participants answered that there was nothing wrong with straight couple French kissing in public, compared to 22 (69%) who found nothing wrong with gay couple doing the same, the difference again not being significantly different, χ2. (1, N = 64) = 1.33, p = .25, Φ = .14. The second explicit question in which participants evaluated the wrongness of the director’s actions was tested with a 2x2 ANOVA between groups. The factors were disgust induction (disgust vs. neutral) and type of scenario (gay couple vs. straight couple French kissing in public). The disgust condition did not affect participants’ judgments on the director’s actions (Mdisgust= 3,40, SD=1,99 vs. Mneutral=3,59, SD=1,76); F(1,60) = .19, p = .66, ηp2= .00). Contrariwise, participants in the gay men couple-kissing condition judged the director’s action as more wrong, compared to those in the straight couple-kissing condition (Mgay = 3.38, SD = 1.96 vs. Mstraight= 2.63, SD = 1.89), F(1,60)= 17.26, p = .00, ηp2= .22. Finally, the interaction between disgust induction and type of scenario was not significant, F(1,60)=.02, p=.88, ηp2= .00. Thus, disgust induction did not moderate the effect of type of scenario on explicit disapproval of homosexuality (see Table 1). Results of two-way ANOVA and descriptive statistics for judgments about the wrongness of the director's actions in the different scenarios and conditions. In order to examine whether the disgust induction and type of scenario had an effect on the implicit disapproval of homosexuality, namely intentionality judgments, a 2x2 ANOVA between groups was conducted. The analysis revealed a significant main effect of disgust induction on intentionality judgments, F(1,60) = 5.30, p = .03, ηp2= .08, with participants in the disgust condition (M = 4.41, SD = 1.83) giving higher intentionality ratings compared to the participants in the control condition (M = 3.41, SD = 1.72). There was also a significant main effect of type of scenario on intentionality ratings, F(1,60) = 4.66, p = .04, ηp2= .07, with participants in the gay couple-kissing scenario (M = 4.38, SD = 1.79) rating the director’s action as more intentional, compared to the participants in the straight couple-kissing scenario (M = 3.44, SD = 1.78). Finally, the interaction between disgust induction and type of scenario on intentionality ratings was non-significant, F(1,60) = .08, p = .78, ηp2= .00, indicating that the disgust induction did not moderate intentionality ratings of public French kissing (see Fig. 1 ). Mean ratings of director's intentionality judgments by condition. Two Hierarchical Multiple Regressions analyses were conducted to assess the influence of disgust induction, age and gender (Stage One) and disgust sensitivity (Stage Two) on implicit judgments, separately for straight and homosexual couple scenarios. The hierarchical multiple regression on the straight couple judgments revealed that at Stage One, disgust induction, age and gender did not contribute significantly to the regression model, F (3,28) = 1.472, p=.24 and accounted for 13.6% of the variation in implicit judgments. Introducing at Stage Two disgust sensitivity explained an additional 47.4% of variation in implicit judgments and this change in R2 was significant, F (1,27) = 32.794, p < .001. When all four independent variables were included in Stage Two of the regression model, they explained 61% of the variability in implicit judgments, R square= .610, F (4, 31) = 10.557, p < .001. Two out of the four independent variables had a significant unique contribution on the prediction of the dependent variable: disgust induction (b= .318, p= .005) and disgust sensitivity (b= .717, p < .001). The hierarchical multiple regression on the homosexual couple judgments revealed that at Stage One, disgust induction, age and gender did not contribute significantly to the regression model, F (3,28) = 1.604, p=.21 and accounted for 5.5% of the variation in implicit judgments. Introducing at Stage Two disgust sensitivity explained an additional 32.2% of variation in implicit judgments and this change in R2 was significant, F (1,27) = 16.353, p < .001. When all four independent variables were included in Stage Two of the regression model, they explain 46.9% of the variability in implicit judgments, R square= .469, F (4, 31) = 5.951, p = .001. Two out-of the four independent variables had a significant unique contribution on the prediction of the dependent variable: Disgust Induction (b= .300, p= .05) and Disgust Sensitivity (b= .607, p < .001). The present study examined the effect of induced disgust on implicit and explicit judgments of homosexual French kissing in public. Present findings revealed that participants, who viewed the disgust slideshow, judged the director’s action as more intentional compared to those, who viewed the neutral slideshow. Similarly, participants who read the gay couple-kissing scenario also rendered a higher intentionality rating, compared to those who read the straight couple-kissing scenario. The present findings suggest that a gay couple French kissing in public was thought to be “more wrong” compared to a straight couple French kissing in public [21Cunningham E, Forestell CA, Dickter CL. Induced disgust affects implicit and explicit responses toward gay men and lesbians. Eur J Soc Psychol 2013; 43(5): 362-9. [http://dx.doi.org/10.1002/ejsp.1945] , 23Inbar Y, Pizarro DA, Knobe J, Bloom P. Disgust sensitivity predicts intuitive disapproval of gays. Emotion 2009; 9(3): 435-9. [http://dx.doi.org/10.1037/a0015960] [PMID: 19485621] ]. Thus, participants’ disapproval of public homosexual behavior was reflected by blaming the director’s intentions. This finding is in accordance with Knobe’s theory of intentionality which claims that moral evaluations do influence judgments of intentionality. It seems that the harsher the judgment of a behavior the more intentional the action [30Knobe J. Intentional action and side effects in ordinary language. Analysis 2003; 63(279): 190-4. The effect of the disgust induction on implicit moral judgment is in accordance with the majority of existing literature, which indicates that induced disgust tends to lead to harsher moral judgment in the purity domain [5Horberg EJ, Oveis C, Keltner D, Cohen AB. Disgust and the moralization of purity. J Pers Soc Psychol 2009; 97(6): 963-76. [http://dx.doi.org/10.1037/a0017423] [PMID: 19968413] , 8Schnall S, Haidt J, Clore GL, Jordan AH. Disgust as embodied moral judgment. Pers Soc Psychol Bull 2008; 34(8): 1096-109. [http://dx.doi.org/10.1177/0146167208317771] [PMID: 18505801] ], and in particular implicit moral judgment [21Cunningham E, Forestell CA, Dickter CL. Induced disgust affects implicit and explicit responses toward gay men and lesbians. Eur J Soc Psychol 2013; 43(5): 362-9. [http://dx.doi.org/10.1037/a0015960] [PMID: 19485621] , 24Terrizzi JA, Shook NJ, Ventis WL. Disgust: a predictor of social conservatism and prejudicial attitudes toward homosexuals. Pers Individ Dif 2010; 49(6): 587-92. [http://dx.doi.org/10.1016/j.paid.2010.05.024] ]. A potential explanation for this finding is that disgust-primed participants may erroneously project the sensation of disgust they are experiencing to the actions described in the scenarios, and come to judge the scenarios as more immoral, in contrast to the participants in the control condition. The same type of reasoning is also used in the context of intentionality by several scholars, who stress the mediating role of emotion in the relationship between moral judgment and intentional attribution [33Nadelhoffer T. On trying to save the simple view. Mind Lang 2006; 21: 565-86. [http://dx.doi.org/10.1111/j.1468-0017.2006.00292.x] ]. It is suggested that negative affect, in this case, feelings of disgust, is attributed to the agent in the scenario and in turn biases intentionality judgments [34Malle BF, Nelson SE. Judging mens rea: the tension between folk concepts and legal concepts of intentionality. Behav Sci Law 2003; 21(5): 563-80. The effect of induced disgust on intentionality judgements was not higher among participants who read the gay couple-kissing scenario than those who read the straight couple-kissing scenario. This finding may suggest that there are in fact two independent factors at play: the first is the latent prejudice against homosexuality and the second is the increased harshness of moral judgment associated in general with induced disgust. Induced disgust does not have a greater effect on the harshness of moral judgments, specifically for homosexual behaviors. With regard to explicit moral judgment, it was predicted that neither disgust induction nor type of scenario would have an effect. Indeed, similarly to Inbar, Pizarro, Knobe, and Bloom [23Inbar Y, Pizarro DA, Knobe J, Bloom P. Disgust sensitivity predicts intuitive disapproval of gays. Emotion 2009; 9(3): 435-9. [http://dx.doi.org/10.1037/a0015960] [PMID: 19485621] ] it was found that there were no differences between the groups when asked whether there was anything wrong with gay couple/straight couple French kissing in public. This is not surprising given the explicit nature of the question, in combination with the profile of the participants who were college students of an age where public displays of affection are commonly accepted. Even in the question about public French kissing by the gay couple, there was no explicit moral disapproval in spite of the prejudice confirmed in the implicit question. This finding can be explained by the Associative-Propositional Evaluation model [28Gawronski B, Bodenhausen GV. Associative and propositional processes in evaluation: an integrative review of implicit and explicit attitude change. Psychol Bull 2006; 132(5): 692-731. [http://dx.doi.org/10.1037/0033-2909.132.5.692] [PMID: 16910748] ], in that the negative gut response towards homosexuality revealed in the implicit question may have been filtered when asked explicitly because it clashed with the widely held proposition that passing negative judgments on homosexuality is not appropriate. However, our findings regarding the second explicit question, whether it was wrong of the director to create this music video were contrary to our prediction and Inbar, Pizarro, Knobe, and Bloom’s [23Inbar Y, Pizarro DA, Knobe J, Bloom P. Disgust sensitivity predicts intuitive disapproval of gays. Emotion 2009; 9(3): 435-9. [http://dx.doi.org/10.1037/a0015960] [PMID: 19485621] ] findings. While disgust induction did not affect answers to this question, participants in the gay couple-kissing condition described the director’s action as more wrong than did those in the straight couple-kissing condition. A potential explanation for this finding is that participants felt more comfortable blaming the director for encouraging homosexual behavior rather than judging homosexual behavior per se. In this sense, this question may not be as explicit as was originally believed since the evaluation focused on the actions of the director and not the actions of the couples. It is worth mentioning that disgust induction material indeed increased the disgust emotional response of the participants, whereas anger was not found to be elicited by the current disgust material used. This result may cast doubt on Royzman et al. [10Royzman E, Atanasov P, Landy JF, Parks A, Gepty A. CAD or MAD? Anger (not disgust) as the predominant response to pathogen-free violations of the divinity code. Emotion 2014; 14(5): 892-907. [http://dx.doi.org/10.1037/a0036829] [PMID: 24866519] ] anger-based account. A finding that could be attributed either to methodological discrepancies or to cultural differences. Moreover, regarding the role of induced disgust and DS as predictors on implicit judgment, results showed that both factors contribute to predicting intentionality, in both scenarios. Following a similar pattern with induced disgust, DS significantly contributed to implicit judgments, with participants higher in DS rating the director’s action as more intentional. This relationship held true both for participants in the gay couple-kissing and the straight couple-kissing conditions, suggesting that increased DS affects harshness of judgment of sexual behavior in general and not exclusively of homosexual behavior. Beyond doubt, disgust plays a prominent role in moral judgments. Although the present findings demonstrated that both state and trait disgust influence moral judgments, it is worth noticing two limitations relating to design features of the study. Firstly, a more accurate measure of the pure explicit question (whether there was anything wrong with gay couple/straight couple French kissing in public) should be considered. Instead of using the dichotomous yes/no measure, a graded 5 point Likert scale will allow a direct statistical comparison between explicit and implicit moral judgements. Secondly, participants were not asked to report their sexual orientation, the reason being that such a question could be considered an intrusion in personal data within a small college community. A pilot investigation on the issue had evoked very defensive responses. Future research in this field should first seek to shed more light on the precise mechanism through which emotions such as disgust affect moral judgments and then try to identify factors which may counter this influence. Experiments should not concentrate on gay men, as most existing literature does but expand to cover lesbians. Another interesting possibility would be to include scenarios with elderly couples French kissing in public under the assumption that any disapproval of the elderly will reflect an overall reservation to endorsing behaviors that are out of the ordinary. Research literature has suggested that disgust has evolved from being a mechanism protecting our body against physical threats to also helping maintain social order. In line with this, the present study suggests that disgust, both as an induced state and as a personality trait in the form of increased DS, leads to harsher moral judgment on sexual behaviors. However, no definite conclusions can be drawn based on the present findings. The extent to which disgust, a complex emotion that can be generated by many real or imagined cues, can play a primary or mediating role in generating a moral judgement or even altering its polarity, merits further research attention. We are thankful to Paul Rozin for his helpful recommendation and comments on an earlier draft of the manuscript. His willingness to give his time has been very much appreciated. We would like to sincerely thank our colleague Ion Beratis for his valuable advice on the statistical analysis. We would also like to thank our Lab instructor Ioanna Spentza for her overall help in data analysis. Hume D. An Inquiry Concerning the Principles of Morals with a Supplement, a Dialogue. New York: Liberal Arts Press 1957. Kohlberg L. Stages en the Development of Moral Thought and Action Kohlberg et al. Moral Stages: A Current Formulation and a Response to Critics. New York: Rinehart & Winston 1969. Haidt J. The emotional dog and its rational tail: a social intuitionist approach to moral judgment. Psychol Rev 2001; 108(4): 814-34. Turiel E. The Development of Social Knowledge: Morality and Convention. Cambridge: Cambridge University Press 1983. Horberg EJ, Oveis C, Keltner D, Cohen AB. Disgust and the moralization of purity. J Pers Soc Psychol 2009; 97(6): 963-76. Zhong CB, Strejcek B, Sivanathan N. A clean self can render harsh moral judgment. J Exp Soc Psychol 2010; 46(5): 859-62. David B, Olatunji BO. The effect of disgust conditioning and disgust sensitivity on appraisals of moral transgressions. Pers Individ Dif 2011; 50(7): 1142-6. Schnall S, Haidt J, Clore GL, Jordan AH. Disgust as embodied moral judgment. Pers Soc Psychol Bull 2008; 34(8): 1096-109. Landy JF, Goodwin GP. Does incidental disgust amplify moral judgment? A meta-analytic review of experimental evidence. Perspect Psychol Sci 2015; 10(4): 518-36. Royzman E, Atanasov P, Landy JF, Parks A, Gepty A. CAD or MAD? Anger (not disgust) as the predominant response to pathogen-free violations of the divinity code. Emotion 2014; 14(5): 892-907. Ekman P, Friesen WV. Unmasking the Face: A Guide to Recognizing Emotions from Facial Clues. Ishk: Malor Books 2003. Rozin P, Haidt J, McCauley CR. Disgust. In: Lewis M, Haviland J, Eds. Handbook of Emotions. New York: Guilford 1993; pp. 575-94. Tybur JM, Lieberman D, Kurzban R, DeScioli P. Disgust: evolved function and structure. Psychol Rev 2013; 120(1): 65-84. Rozin P, Haidt J, McCauley CR, Imada S. Disgust Preadaptation and the Cultural Evolution of a Food-Based Emotion in Food Preferences and Taste: Continuity and Change. Providence, RI: Berghahn 1997. Curtis V, Biran A. Dirt, disgust, and disease. Is hygiene in our genes? Perspect Biol Med 2001; 44(1): 17-31. Haidt J, McCauley C, Rozin P. Individual differences in sensitivity to disgust: a scale sampling seven domains of disgust elicitors. Pers Individ Dif 1994; 16(5): 701-13. Chapman HA, Anderson AK. Trait physical disgust is related to moral judgments outside of the purity domain. Emotion 2014; 14(2): 341-8. Inbar Y, Pizarro DA, Bloom P. Conservatives are more easily disgusted than liberals. Cogn Emotion 2009; 23(4): 714-25. Hodson G, Costello K. Interpersonal disgust, ideological orientations, and dehumanization as predictors of intergroup attitudes. Psychol Sci 2007; 18(8): 691-8. Crawford JT, Inbar Y, Maloney V. Disgust sensitivity selectively predicts attitudes toward groups that threaten (or uphold) traditional sexual morality. Pers Individ Dif 2014; 70: 218-23. Cunningham E, Forestell CA, Dickter CL. Induced disgust affects implicit and explicit responses toward gay men and lesbians. Eur J Soc Psychol 2013; 43(5): 362-9. Inbar Y, Pizarro DA, Bloom P. Disgusting smells cause decreased liking of gay men. Emotion 2012; 12(1): 23-7. Inbar Y, Pizarro DA, Knobe J, Bloom P. Disgust sensitivity predicts intuitive disapproval of gays. Emotion 2009; 9(3): 435-9. Terrizzi JA, Shook NJ, Ventis WL. Disgust: a predictor of social conservatism and prejudicial attitudes toward homosexuals. Pers Individ Dif 2010; 49(6): 587-92. Nussbaum MC. Upheavals of Thought: The Intelligence of Emotions. Cambridge: Cambridge University Press 2003. Herek GM. Documenting prejudice against lesbians and gay men on campus: the Yale Sexual Orientation Survey. J Homosex 1993; 25(4): 15-30. Breen AB, Karpinski A. Implicit and explicit attitudes toward gay males and lesbians among heterosexual males and females. J Soc Psychol 2013; 153(3): 351-74. Gawronski B, Bodenhausen GV. Associative and propositional processes in evaluation: an integrative review of implicit and explicit attitude change. Psychol Bull 2006; 132(5): 692-731. Knobe J. Intentional action in folk psychology: an experimental investigation. Philos Psychol 2003; 16(2): 309-24. Knobe J. Intentional action and side effects in ordinary language. Analysis 2003; 63(279): 190-4. Lang PJ, Bradley MM, Cuthbert BN. International affective picture system (IAPS): Technical manual and affective ratings. CSEA 1997; pp. 39-58. Olatunji BO, Williams NL, Tolin DF, et al. The Disgust Scale: item analysis, factor structure, and suggestions for refinement. Psychol Assess 2007; 19(3): 281-97. Nadelhoffer T. On trying to save the simple view. Mind Lang 2006; 21: 565-86. Malle BF, Nelson SE. Judging mens rea: the tension between folk concepts and legal concepts of intentionality. Behav Sci Law 2003; 21(5): 563-80.